The SPOTCHEM D-Concept was developed to change the face of POCT. 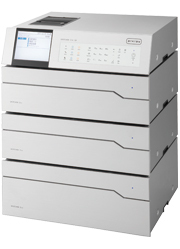 This instrument comprises all the functions demanded from the market and allows customization according to function: a first for a POCT analyzer. With units installed on top of one another, it takes up very little space too.